FILMMAKER IN ATTENDANCE – CHILDREN OF THE ARCTIC is a year-in-the-life portrait of Native Alaskan teenagers coming of age in Barrow, Alaska – the northern-most community of the United States. For these teenagers, growing up has become a little more complicated than it was for their ancestors who originally named this place Ukpiagvik (“where we hunt snowy owls”). They are the 21st century descendants of a culture that has endured for millennia on this isolated but rapidly changing tundra. 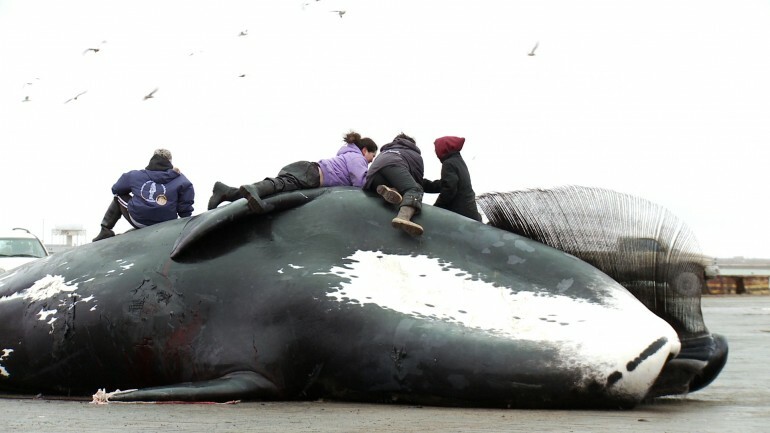 The harvest of the agvik (bowhead whale) remains the heart of their culture – in the fall, motor boats and modern methods are used, whereas in the spring, whaling crews use the umiaq (a seal-skin boat made by hand) and ancient traditional methods. Salem Film Fest 2012 attendees will recognize Nick Brandestini from his film DARWIN.